A small airfield operated for four years on the hill east of Juanita Drive near NE 141st Street. North Seattle Airpark provided flight training for would-be fliers through the GI Bill and offered aerial banner service to advertisers from 1948 to 1952. 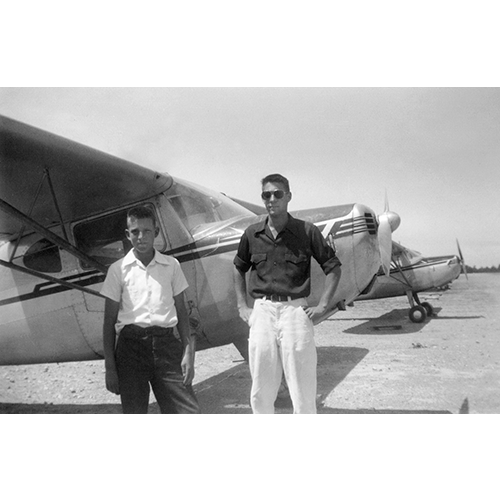 Merritt Smythe (left) and Joe Menard, son of airpark co-founder Al Menard, stand beside one of the planes.